Upper Darby, PA – (ca. 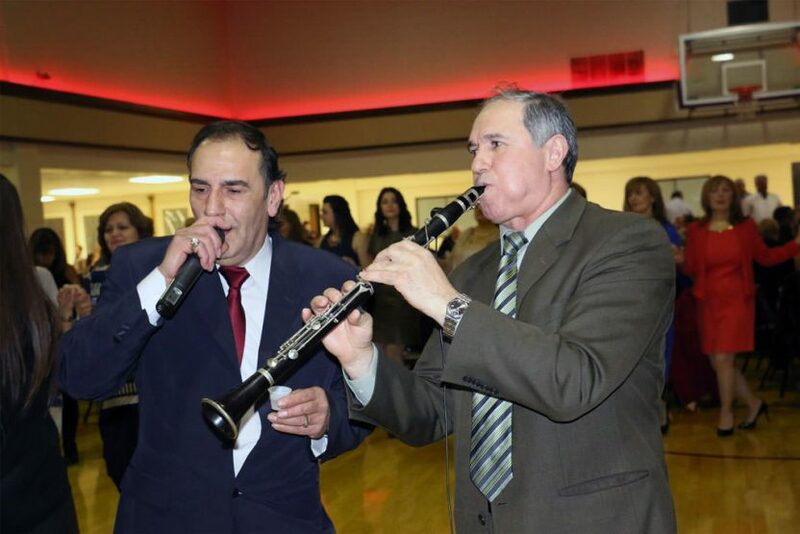 2016) Yiorgo Bezanis on Clarinet and the Lazaros Paraskevas of the Lazaros Paraskevas Band pair up on the dance floor of the church hall.The two have been singing at the annual Tsipourovrathia event for years and is a crowd favorite. They play throughout the evening supplying the traditional sounds of Epirus, Greece, where many of the attendees hail from. Submitted by Eleftherios Kostans.